I’ve written many times about the power of looking at different wavelengths of light to study different properties of the universe. From a visualization standpoint, there are other techniques that give you additional power when imaging. More than just the wavelength of light you’re using to show the detail, you can choose the range of wavelengths to bring forward certain features while suppressing others. 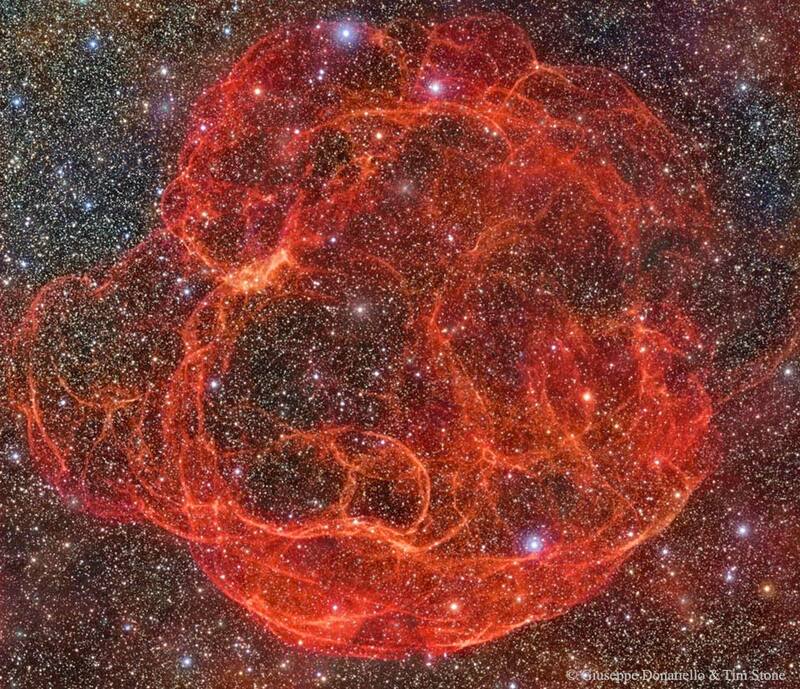 The aptly-named spaghetti nebula, shown above, is a great example of this. A supernova remnant that covers the constellations Taurus and Auriga, the nebula is very large in the sky, covering three full moons worth (love that unit of measurement). However, it is very dim and hard to observe, requiring a long exposure with a narrow filter, allowing a small range of wavelengths of light to pass through to the detector. The filter in question is likely observing in H-Alpha, with a wavelength 656.2 nm. This is a very common wavelength used in Astronomy to observe emission nebula, such as the great nebula in Orion. It captures the light emitted when an electron recombines with a proton and cascades down to the lowest energy state. Since Hydrogen is the most abundant element in the universe, H-Alpha emission can reveal a lot of detail that can’t be seen by human eyes.